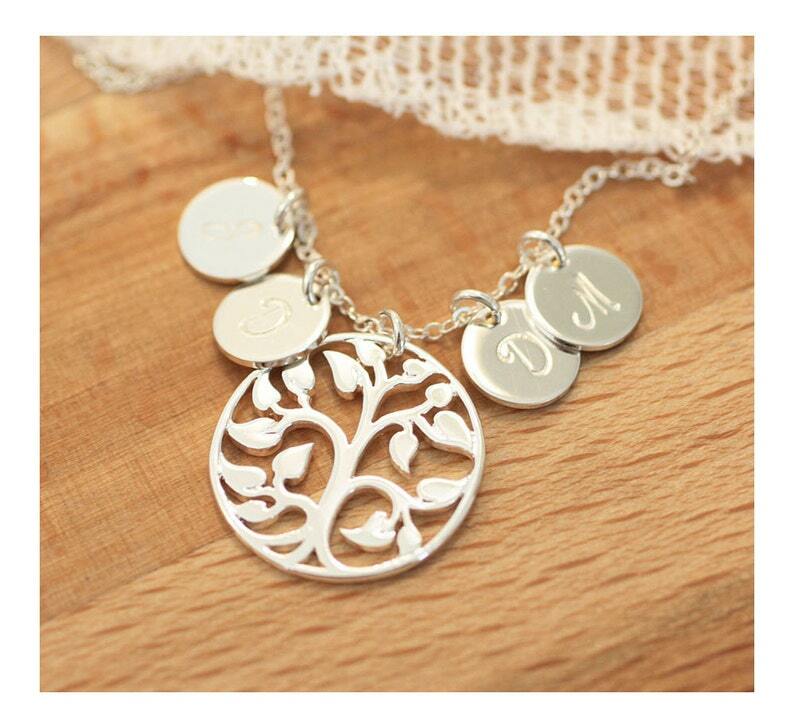 Select an option Gold Fill - 16" Gold Fill - 17" Gold Fill - 18" Gold Fill - 19" Gold Fill - 20" Sterling Silver- 16" Sterling Silver- 17" Sterling Silver- 18" Sterling Silver- 19" Sterling Silver- 20"
Tree of life necklace, personalized with your custom initials. ♥Shimmering flat cable chain, standard length is 18 inches (as pictured). Length can be customized up to 20 inches. ♥Solid bronze tree pendant (20mm). ♥TWO initial disc charms (3/8") stamped with your custom initials. Please see the very last photo for available fonts! The default font for this necklace is the lowercase tranquil font.